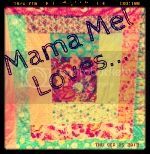 Mama Mel Loves...: Very Busy Bugs Quilt Finished! Going in Circles Quilt finished! 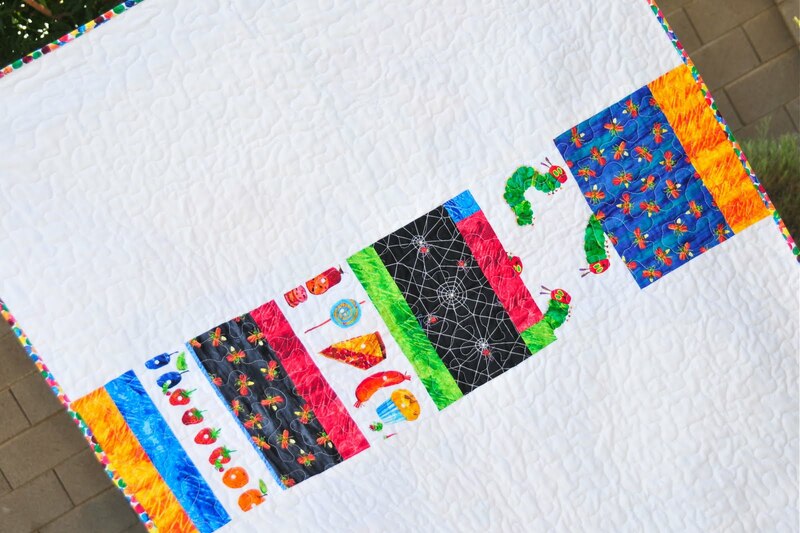 Very Busy Bugs Quilt Finished! 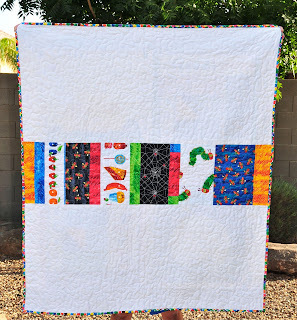 I finished my son's Eric Carle quilt yesterday! Using the panel, and some fat quarters from the Very Series collection, I made alternating modified large log cabin blocks. The "middle" square is a half-square triangle. My first time using triangles... but probably not my last. I really want to be brave and try a quilt using half-square triangles... someday. For the back, I used some leftovers from the collection in a strip between some Kona white. 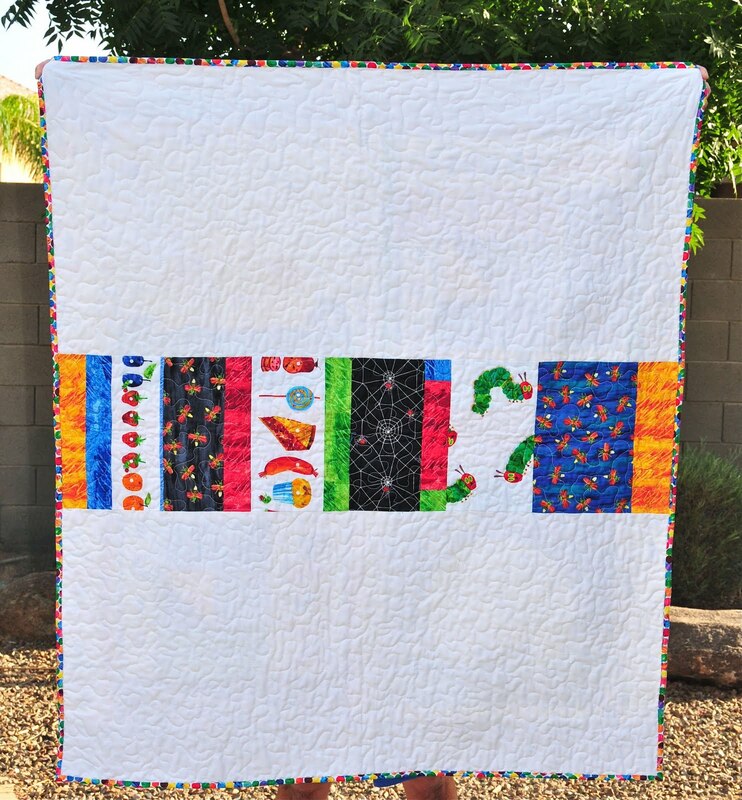 I was able to quilt this in half a day, and bind it in a day. I used the Eric Carle dots for the binding, which I love! It was nice to be able to put my swollen feet up and do some hand sewing yesterday. After I took these pics, I added "2011" hand stitched on the back. 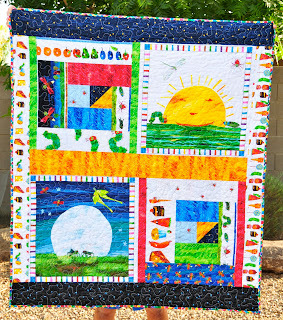 I'm excited to have this quilt in my son's room, along with all his Eric Carle books. We also have some posters that I'd like to frame and hang on the walls, after they're painted (hubby's job), as well as Eric Carle stuffed animals from Kohl's Cares collections. I'm excited to get everything done and post some pics of my son's new room! I love, love, love it! How cute!